Popular photo-sharing app Instagram recently introduced a new sharing feature called “Photos of You,” which allows users to tag other user accounts in pictures they take. For example, if a user snaps a photo of a group of friends, he or she can tag each person in the image, similar to the way Facebook photo tagging works. Photos of You enables users to tag other people or businesses. When someone tags another user, that person receives a notification and can choose to show the image on his or her own account in a Photos of You section. Others can browse images that have been made visible. Photos of You is not limited to tagging other people. Retailers with Instagram accounts can benefit from the feature because users can tag businesses, as well as people. “As a business or brand, Photos of You gives you a new way to curate and share the photos that best showcase your brand as documented by your biggest fans,” states the Instagram blog. 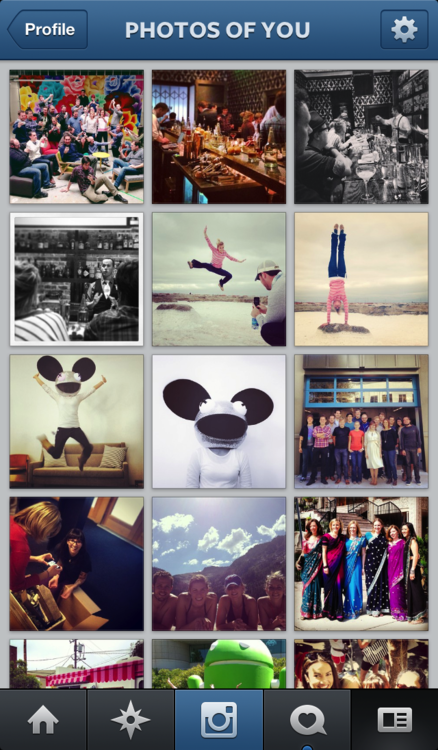 Photos of You is a welcome addition to Instagram’s photo sharing options because it starts with the user, not the brand. As such, photos tagged with the business profile by an individual serve a form of third-party validation or customer testimonial. This can be especially helpful if the customer adds a positive comment in the photo’s description. Here are six ways merchants can take advantage of the new feature. Ask customers to tag your profile. Have customers tag your business profile in photos of products purchased from your store. This could also include photos of customers using your products. Host a photo contest. This is easy to do since you will be notified each time someone tags your profile in an image. You can either choose to share all the images and allow others to “like” their favorite entry or select from the entries and show only a list of finalists, from which users can vote. Share tagged photos on your company Facebook page. Facebook acquired Instagram last year and it’s relatively easy to connect the app to your page. Instagram provides instructions on how to do so in its help section. Tie tagged photos to specific hashtags. Curate images by topic using hashtags. For example, you could add hashtags based on product lines, categories or brands. Follow profiles of customers who tag your products. Not only is this a courteous gesture, it’s a way to build a stronger bond between you and the customer that can lead to greater loyalty. Take photos of customers using your product. This may only apply to retailers with brick-and-mortar stores, but it’s a way to shine a spotlight on your customers who are Instagram users. Perhaps they will choose share the photo in their profile, which can lead to greater brand awareness. According to Instagram, users can add people or business accounts to photos as they are sharing it or to photos that have already been uploaded. Photos of You is available in the latest versions of iOS and Android. Users can download it from the App Store or Google Play. Introducing Photos of You from Instagram on Vimeo.